This book gives you insights into what it means to use a hybrid approach to cloud computing and the flexibility and choice that it provides. You will discover the type of technologies and approaches that are imperative for your organization to create the business value and flexibility the constituents you serve demand. 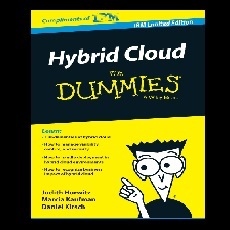 This book helps business and technical leaders understand the hybrid cloud in context with the needs of the business.